Our Client is a leading commercial concrete subcontractor specializing in tilt-wall construction and specialty slabs. 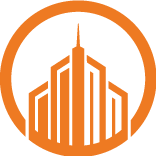 They serve the commercial and industrial building community throughout the Mid-Atlantic, Southeastern and Southwestern United States, with offices in Orlando, Charlotte and Austin. We are looking for a full time Division Safety Director that is independent, motivated, professional, organized and assertive. A partial list of responsibilities includes: providing initial and continuing safety training to employees, coordinating employee certifications, performing site safety inspections on all projects ensuring compliance with existing Company safety standards as well as recognizing and correcting any potential hazards, maintaining and enforcing the Company Fleet Safety Program, working with employees to improve accident prevention programs, organizing and participating in a Company Safety Committee, producing both safety and accident reports, participating in the handling of workman’s compensation claims, effectively communicating with and producing any required reports for our clients and staying current and compliant with all new OSHA regulations. Applicants should have either a BS in occupational safety or equivalent degree or a minimum of (5) five years experience in construction safety management. Industry certification(s) (CSP, CHST, OHST, CLCS, STS, etc.) are preferred but not required, however, the successful candidate will be expected to attain such certification after commencing employment.